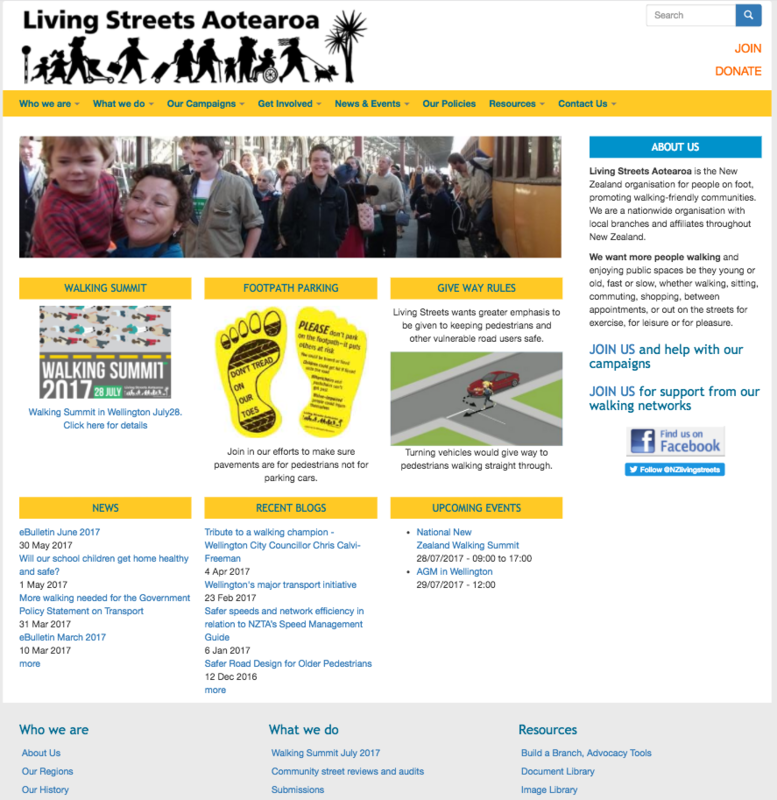 Living Streets Aotearoa is the New Zealand organisation for people on foot, promoting walking-friendly communities. They are a nationwide organisation with local branches and affiliates throughout New Zealand. They want more people walking and enjoying public spaces be they young or old, fast or slow, whether walking, sitting, commuting, shopping, between appointments, or out on the streets for exercise, for leisure or for pleasure.